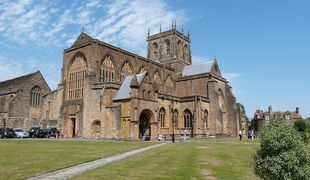 Located in the heart of Sherborne, the Historic Abbey town on the Somerset/Dorset border, Sherborne Cottages and Apartments offer a selection of unique self-catering properties available year round for Short Breaks and longer Holiday Rentals. Whether you want a base for exploring the West Country, a relaxing holiday or a weekend break it will be difficult to find a more attractive choice of perfectly situated properties that are available year-round than our self-catering holiday rentals in historic Sherborne and the surrounding villages. 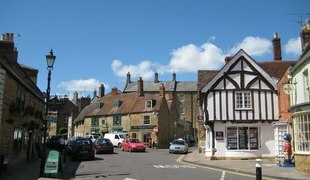 Discover the historic and beautiful market town of Sherborne in Dorset. Set in the beautiful rolling countryside of the West Country, the town and surrounding area was recently used for the filming of Far From The Madding Crowd. Famous for it's historic buildings including two castles and an Abbey dating back over 1,000 years it also has a a wide variety of independent shops on and around the picturesque high street offering local produce, crafts, specialty chocolate, wines, antiques, gifts and fashion. 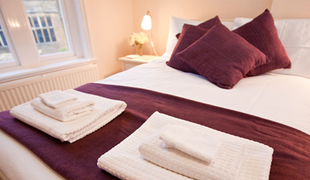 Our properties are all designed and stylishly furnished with guests in mind. We pride ourselves on our flexibility and are happy to discuss your exact requirements and accommodate your plans whenever possible. We offer a personal service with a small dedicated team on hand at all times and our prices are fully inclusive of VAT, all bills, linen, towels, WiFi, etc. Some of our properties can also accommodate well behaved pets. If you are looking for a cosy cottage for your family holiday in Dorset or a spacious apartment for a romantic weekend in the West Country we have a holiday rental that’s right for you. Should you be looking for a weeks accommodation over half term, a longer holiday in the summer or a short weekend or mid-week break at any time of the year we have the flexibility to suit your dates. Call or e-mail us on info@sherbornecottages.com to discuss the options for your upcoming stay.